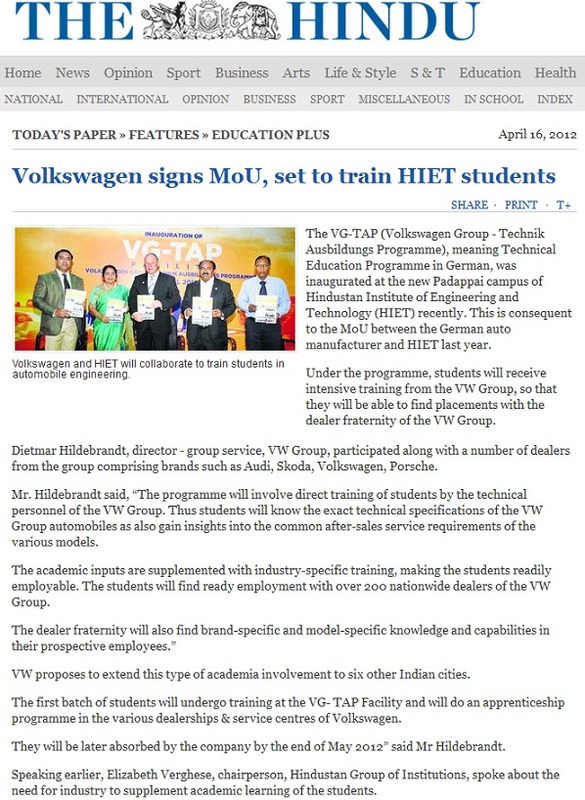 We take immense pleasure in sharing with you our article that has been published in "The Hindu". Kindly click on the image to enlarge it. Kindly find the original link here. 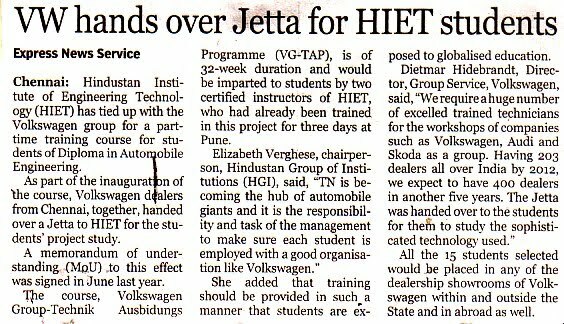 We take immense pleasure in informing that Volkswagen Group has come forward to train HIET students. Kindly click on the image to enlarge it. 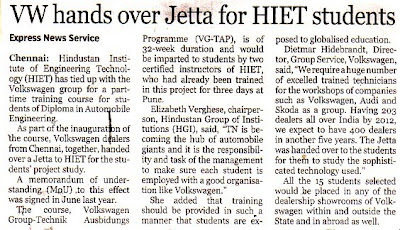 We would like to bring to your kind notice that the training program for Hindustan College is about to begin. We invite you to take a look at this article. 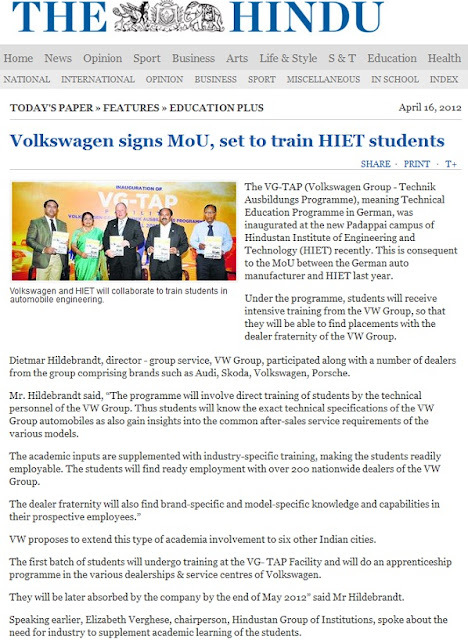 Kindly click on the image to enlarge it.